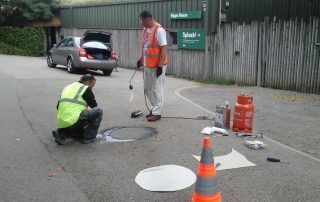 As most contractors know too well, installation projects arise which require an alternative approach to the standard to achieve the desired result. 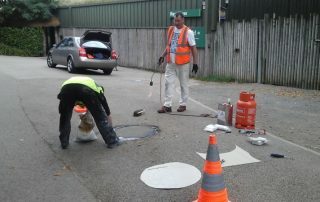 One of them was the reinstatement of the old cobblestones around Dublin`s main tourist attraction – Temple Bar. 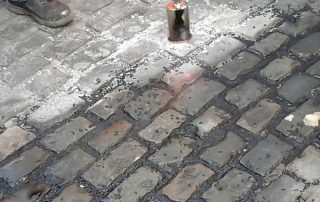 Galco worked closely with Dublin City Council on this project to come up with a solution to the health and safety risks they faced while repairing these cobbled streets using previously approved methods (pouring of hot bitumen). 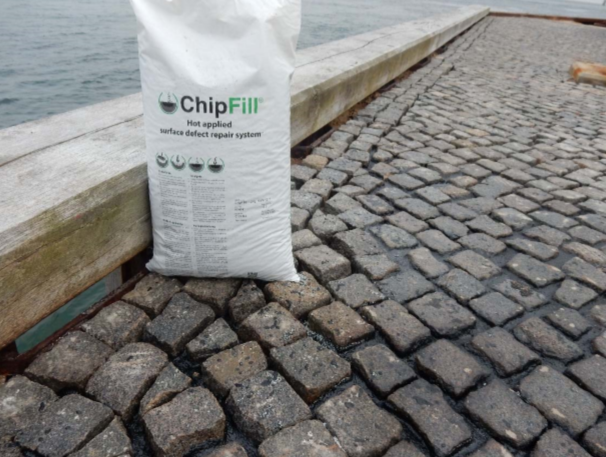 After discussing the main areas of concern, we agreed on a suitable product from the range of thermoplastic solutions we offer – Chipfill. 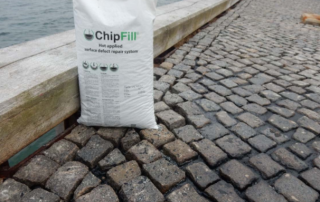 Chipfill is a granular thermoplastic crack in-fill system that can be used as a grouting, potholes repair or as a surface defect repair solution. With the ease of installation and simplistic finish, this product best met the needs of the project.